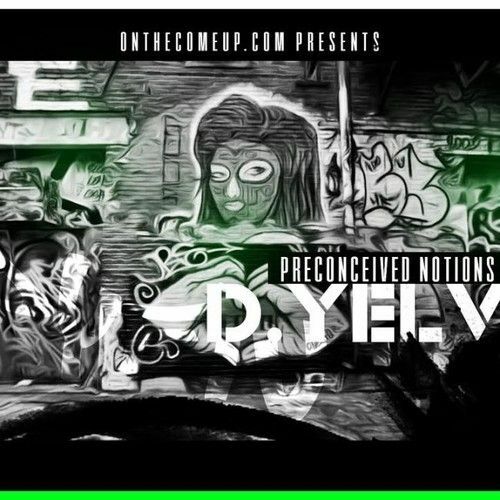 About Mixtape: Baltimore emcee, D. Yelv, drops his debut project "Preconceived Notions." Following his first two singles, "Carmelo" and "Break It Down", the young emcee has managed to mesh an old 90's hip hop feel along with a laid back flow giving his listeners a different glimpse of Baltimore culture. The DMV artist strays from typical trap flows and a dark undertone typically found among Baltimore area rappers, yet sustains a witty sense of wordplay taking his listeners through a tour of his hometown. With comparisons to J. Cole, Mos Def, and recently opening for notable artists such as Maino, Freeway, and King Los, D. Yelv is definitely an artist to look out for in the immediate future.